Even though I've now reviewed over thirty cookbooks on this blog, it just hasn't crossed my mind to post up any food fiction reviews. A bit daft really, as I'm guessing if you're reading this, you must have some interest in food and erm, reading. I've adored most of the ifood fiction I've read over the years as food really does translate well to stories you can immerse yourself in. 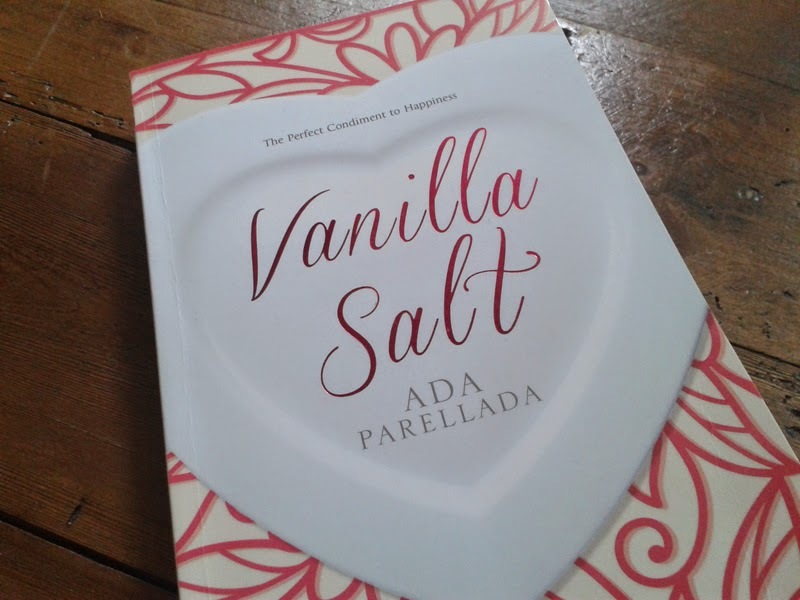 Based in Barcelona, Vanilla Salt is essentially the story of a stormy Catalan chef who's personality and attitude is killing his formerly popular restaurant. He desperately needs help, even if he resist it at every opportunity by forcing staff to leave or refusing advice from everyone around him. Then a mysterious Canadian cook starts work in his ill-fated restaurant who changes everything about his life. I was grabbed pretty quickly, with food bloggers, food critics, social media and mention of one of my favourite films of all time, Big Night all featuring in the first few chapters. Also, the real draw of this book is that it has actually been written by a chef, admittedly not one I've heard of before, but her description of cooking and food is so detailed and vivid, you can sometimes taste it. Something that anyone short of being a professional chef probably wouldn't have managed so well. You can also extract quite a few tips in there like thickening sauces with fried bread and ground almonds. Bonus. I did like chef Alex and thought his character was well created. Passionate, disillusioned, stubborn, arrogant and blinded by his own talent yet incredibly vulnerable underneath the tattoos and aggression. I think we all know one of those chefs! His resistance to use any ingredients who have their culinary origins in America - barbarian food as he calls it - made me laugh out loud although the real reason for his hatred turns out to be far deeper than just being a difficult chef. Annette, the Canadian, was portrayed to swing wildly from being savvy and well-informed to naive and a tad foolish which made it difficult to gel with her and she did irritate me in places, but this could have been her poor grasp of Catalan which made her come across as a little simple. All in all I enjoyed it. Vanilla Salt is light-hearted and definitely something to throw in the beach bag this summer. So if you've still got your summer holidays to go on, that will be your pool side reading sorted. The prize is one set of four books. Entries via the Rafflecopter widget below. Good luck!